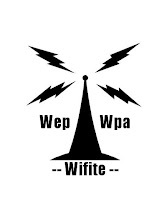 Ethical Hacking: WiFite The WEP/WPA Cracker version r68 released ! Designed for Backtrack4 RC1 distribution of Ubuntu. Linux only; no windows or osx support. to attack multiple WEP and WPA encrypted networks at the same time. this tool is customizable to be automated with only a few arguments. wifite can be trusted to run without supervision. this project is available in French: all thanks goto Matt² for his excellent translation!